The bell tolled this weekend for some of our solanaceas. Two nights at zero degrees was all it took to fell our eggplants, peppers and nearly all our unprotected tomatoes. The same goes for our beans and summer squash. Our covered solanaceas – the lucky ones protected by our tunnels and in our unheated field greenhouse – have so far survived, but their days are numbered, particularly if the near-zero night temperature trend persists. As a result, we’ve harvested all the paste tomatoes we could, and the last of our eggplants and peppers, stragglers all. 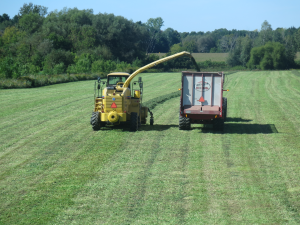 It’s our end-of-season routine, following fast on the last haying of the season : pulling up plastic cover, harrowing large swaths of field – a fall prelude to the final sowing of our green manure cover crops before the really cold weather settles in. Reading this, you’d think winter is just around the corner, but that’s not really the case…yet. 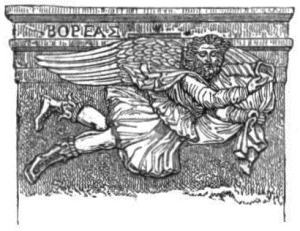 It’s just that October can be blustery and rain-filled – making it near impossible to schedule field work with heavier machinery in sodden fields – a miserable month, really, ruled by Boreas, who taunts us with the occasional sun-filled day even as he goes about his business of heralding winter. And so it is that our baskets have taken a decidedly autumnal turn. While a few tomatoes will still add colour, you’ll witness the return of the beet and the potato, accompanied by leeks (this year has been a great leek year) and this week’s winter squash special : the classic butternut squash. Don’t forget to register with Capitaine Levain if you want to continue with, or try, his sour dough breads for the rest of the season. And last, but not least, note that our friend and foodie blogger, Anaïs Berzi, a long-standing farm member, will be featured on Josée di Stasio’s cooking show on Télé-Québec this coming Friday, September 30th, at 8 pm. We look forward to seeing you all at your respective drop-off locations.